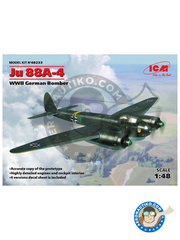 The Junkers Ju 88 is a gorgeous German twin-engined airplane that operated during World War II, where it performed all sorts of functions: bomber, night fighter, torpedo launcher, reconnaissance plane, heavy figther, and even as a flying bomb during the last stage of the conflict. 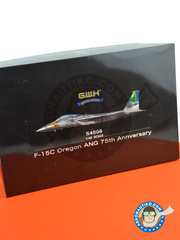 ICM has focused on the A-4 version of the plane, which we will soon receive at Aeronautiko. While it arrives, we bring you some other interesting news. Are you ready? 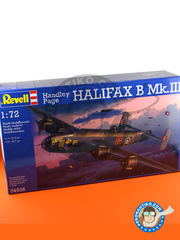 This Revell kit and its huge box, full of parts to have a great time during the assembly. 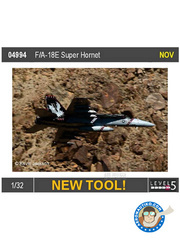 The kit is level 5, ie, for high-flying modelers only. 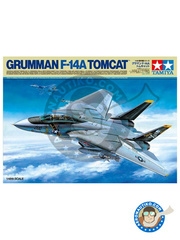 Spectacular, as always, the new Tomcat kit by Tamiya. 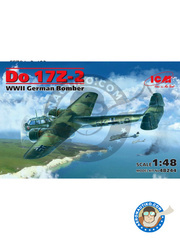 Inside the huge box you have twelve sprues filled up with plastic parts, instruction sheets for the gorgeous full color decorations, hundreds of parts including all weapons and fuel tanks, ... Are you really not you going to build it? 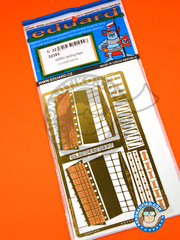 These masking sticker sheets, nothing less than 5 units on each package, will let you mask big surfaces of your kits. 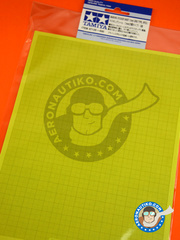 Once remove, they doesn't leave any kind of leftover residues, and measure 240mm x 180mm each. Aren't they ideal for a thousand different applications? 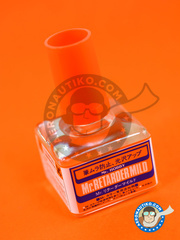 Retardant agent for Mr. Color range paints. It will help you to apply paint with brush, getting rid of the trail left by the bristles, while lowering the surface tension of the paint to get a more uniform result after drying. 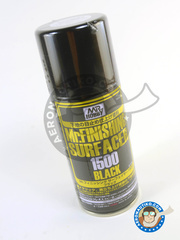 Add 10% product to the paint for brush application, and 20% for airbrush use. Matt black spray paint in 100ml can. 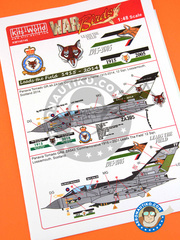 Commemorative decoration of RAF Squadron 12th (Leads the field) 100th anniversary. 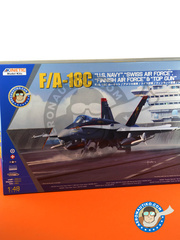 Extensive plastic parts list, super detailed decals (designed by Fightertown Decals and printed by Cartograf) for different decorations, an interesting photo-etched parts sheet, ... what else could you ask for? Glue!!! Black primer in spray, just as easy as shake and paint. 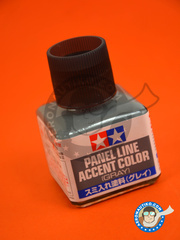 Highly recommended as a base for metallic tones. 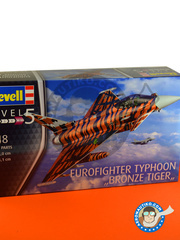 Re-edition of the Single Seater Eurofighter Typhoon EF-2000 with the fantastic Bronze Tiger decoration of the German army. 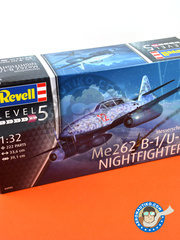 Bear in mind that this is a level 5 kit, ie, only for high-flying modelers. Do you dare with those spectacular Tiger decals? 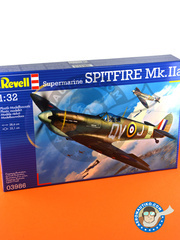 The unmistakable sound of the Spitfire engine, as unmistakable is the design style of Revell in their 1/32 scale model kits . Do you dare with this Level 4 beauty? Release scheduled for July 2017. 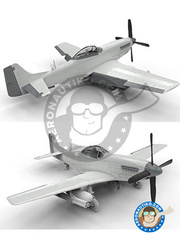 A great scale model of one of our favorite aircraft, the Me 262. 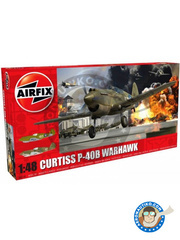 The kit is skill level 5, ie, only for high-flying modelers. 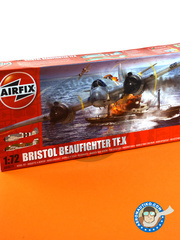 We really wanted Airfix to re-edit this model, and finally they have done with new molds. All right!!!! 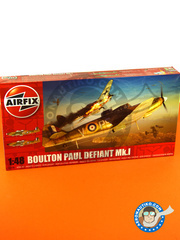 One of the all time wanted for re-edition flying machines by Airfix, and finally our dreams have been fulfilled. 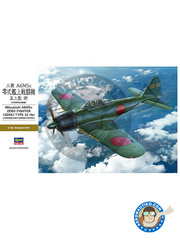 The looks of the kit are excellent, very well defined paneling, parts list is is very extensive, and RAF decorations are more than correct. We just love it!! 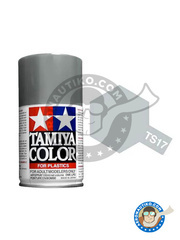 Lacquer type spray paint made of high quality synthetic enamel in shiny aluminum color, in 100ml capacity. 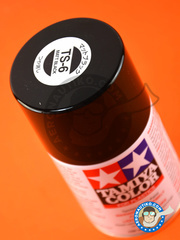 Tamiya liquid panel line accentuator with included applicator, perfect for highlighting your models panels. 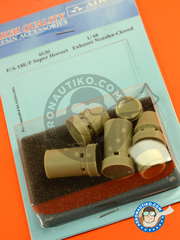 Package includes two Hornet nozzles in closed position, made with high precision resin, for replacing the plastic parts kit in the original Hasegawa scale model kit.